A with any profession, it’s important that dental assistants keep up with the latest in industry developments and do their best to network with other professionals. One of the simplest ways to do this is to read dental assisting blogs, contributing to industry-relevant discussions and learn from the experts in the field of dentistry. Reading a dental blog could not be easier, you can just pop it up on your phone when you have a spare five minutes and here are 5 dental assistant blogs you should definitely be reading! The Dental Assistant Life blog serves up a huge range of helpful posts on life as a dental assistant. You can expect articles offering career advice, lifestyle tips, and even promotion for dental assistant events happening across the U.S. 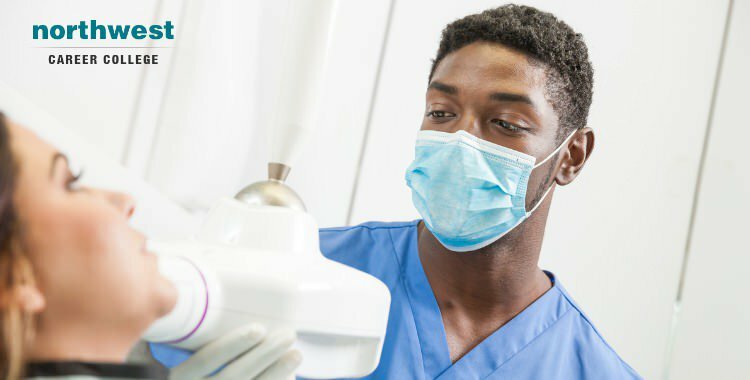 The Dental Assistant Life blog is full of helpful content for anyone interested in becoming a dental assistant and there is enough variety that even seasoned dental assistants will find something interesting. There’s even a forum you can use to connect with other dental professionals. The main aim of Dental Post blog is to provide a way for aspiring dental assistants to connect with their ideal dental employer. Originally created as a job posting site, the Dental Post has gradually transitioned into a networking site that also features job postings.T You can expect to find a range of articles from advice on getting hired, tips for practice management, and amusing slice of life stories about why dental assistants love their job. The Dental Post is an excellent resource for aspiring dental assistants looking for a job and dental practitioners looking to network. The Dentistry IQ blog is all about giving dental assistants some much needed practical advice. The site features great career advancement and treatments advice articles and has a regular advice column called Thursday Troubleshooter. Thursday Troubleshooter hands out advice on subjects like on how to calm distressed patients and what options a dental assistant has if their hours are suddenly reduced. The Dentistry IQ blog represents a fantastic resource for dental assistants to learn from the experiences of others in the field. AS the name might suggest, the Pediatric Dental Assistants Association (PDAA) is a blog that focusses on those dental assistants who are interested in working with children. You can expect sections that keep you up to date on current events in the dental field, tips on dealing with younger patients, continued educational opportunities, and advice on how to advance in your dental career.If you’re considering moving into the field of pediatric dental care then the Pediatric Dental Assistants Association is an excellent resource that can give you the information you need to make that decision. Despite the rather unusual name, Dental Grind is actually a blog for job seekers in the dental assisting field. The blog is filled with great advice on how to apply and interview for a position in the dental field. If you have recently graduated from a dental assisting school and are currently looking for work then the Dental Grind is an excellent place to look for job placement for dental assistants. Here at Northwest Career College we firmly believe that learning is a process that continues on the job. Our Dental Assistant Training Course gives you all the key skills and experience you’ll need to find the best dental assisting employment opportunity in Las Vegas. Our Dental Assistant School offers morning, afternoon and night classes to accommodate your busy work and family schedule and our established, seasoned instructors have helped our students achieve a 91% national exam pass rate. Call us at (702) 403-1592 to speak to one of our admissions assistants about your new dental assisting career. Previous Blog: How To Invoice As A Freelance Medical Biller And CoderNext Blog: What Is The Difference Between A Paralegal And Lawyer?